Don’t know what is going on in the Winnie area. No geese at all. Usually by this time of the year they are thick. Everyone talks about the snow goose explosion. I have not seen a snow in Chambers County this year. Slow weekend in Wallisville Lake Project near Anuhuac. Small numbers, not very many groups. 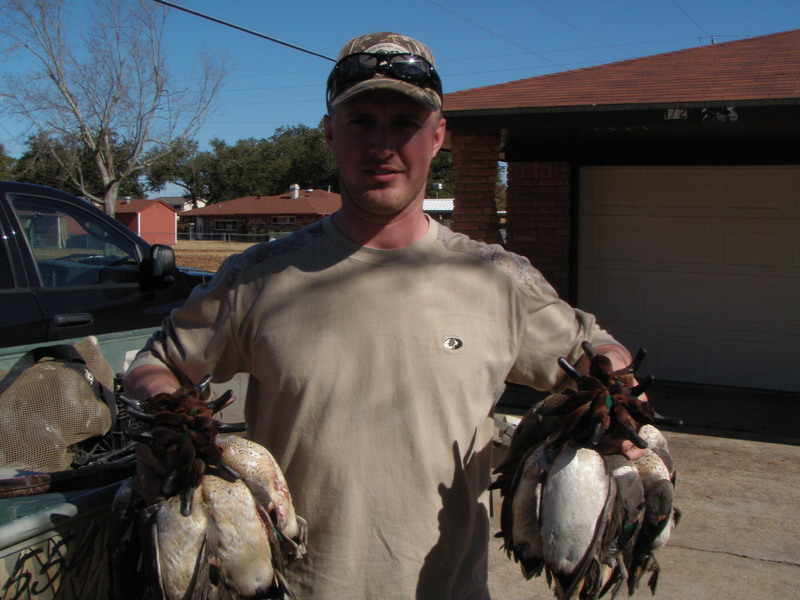 Some Teal, Red Heads, Gadwall, and Woodies. hoping for a better hunt this coming weekend. Kyle Wilson here over in Clear Lake. 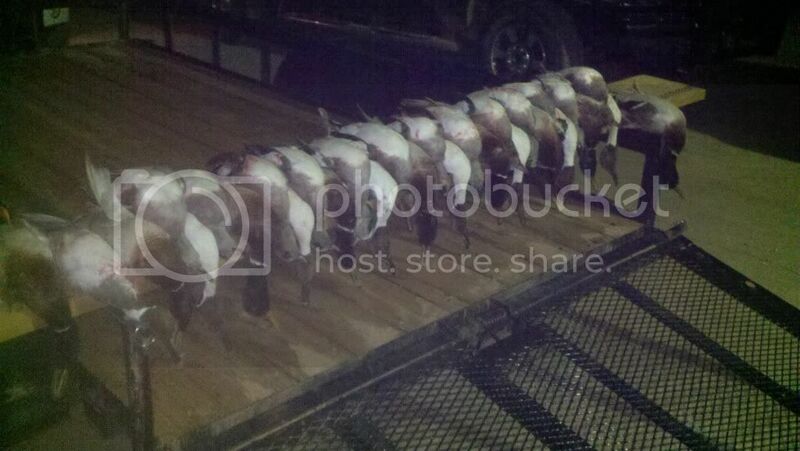 Got a lot of Redheads and Pintails down in Galveston Bay. In South Texas in SHiner Texas Actualy where Shiner Bock Beer is made and a few stock ponds or Tanks out here have BWT on them. Not many just 4 to 5 here and there. 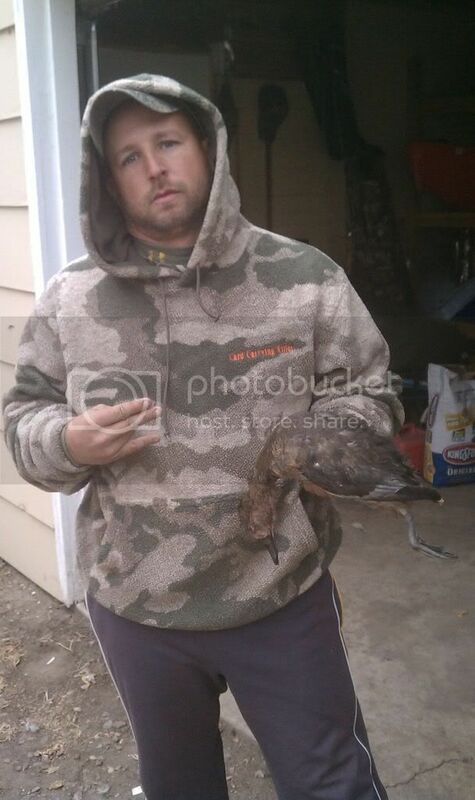 Was at the lake for 4 days and seen a few ducks in the distance in the am thats about it. Looked like divers by the way they flew. Time to start catching some frogs with the warm weather coming. Did i mention all the geese and ducks or gone excet ruddy ducks and scaup. its still cold though. #9 this am. 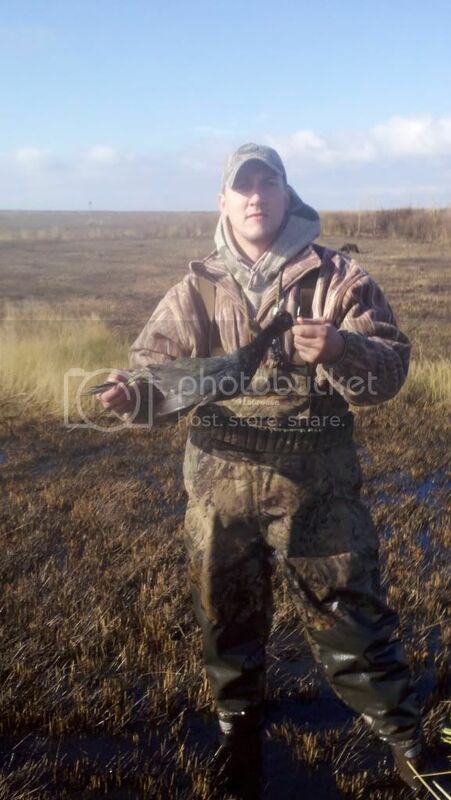 Being a member and oneday(if you play your cards right) you might beed a prostaffer for Xtreme Adventures. Then you would to kill like the big boys! 2012-2013 was another successful duck season. Even without the normal high numbers of GWT we still had plenty of Gadwall, Pintail, and BWT to fill our Hellbilly lanyards. The slowest part of the season was when we had multiple days of heavy rainfall after Christmas pushed a lot of our birds south We still killed ducks but the numbers decreased and the amount of work you had to put in to kill them increased. Usually by the last week of the season your ready for it to be over so you can finally get some sleep and put up all the gear thats been cluttering your garage and truck for 3 months, but the amount of ducks that showed up in the last couple weeks of the season made you want it to never end. Especially since it was on our lease. Anyway we closed the season out with full straps and a band to top it off so you cant ask for much more. Already looking foward to next year. Only seeing a few Scaup here and there now. Looks like most ducks are outta here! Greenwings are really filling out now! Tempting but i got a hole set up for this weekend that has a ton of scaup and ringnecks in it like 10 to 15. Gonna wax them good. Maybe next year we can set something up for a ruddyduck hunt! Speaking of Ruddy-like ducks. 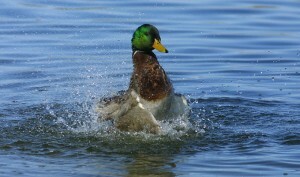 Do you ever see those Masked Ducks where you hunt? To upload a pic — use the “choose file” button below the comment box to select the image from your hard drive. It will resize and post it in the report. No need to embed from other sites. I saw that option, but most of my pics are sent straight from my phone to photobucket. Don’t have any new ones on my hard drive yet. Nice Bull Coot! Wanna trade a hunt? We’ve been on the hen buffies like a mf’er. Got two of them just yesterday and that was only shooting one box of bullets so you know they’re thick. Let me know! Same for you on images — post them using the “choose file” button in the post box.